We had a session of Oaks and Acorns this morning, led by Rachel. 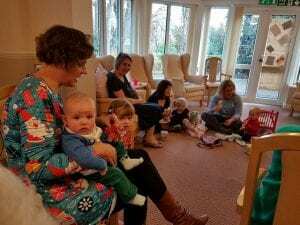 We had three mums, four children and five residents plus Vicky. The residents thoroughly enjoyed the interaction with the babies and toddlers. 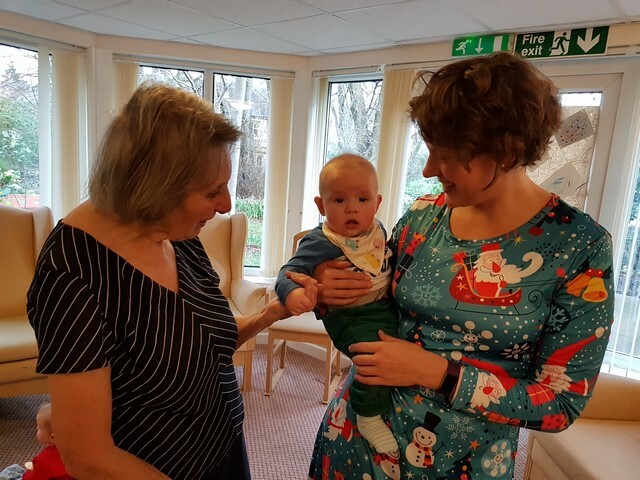 We read some children’s stories together, chatted with the mums and children, sang Christmas songs, with the use of musical instruments and enjoyed lemon cake and soft drinks together. We enjoyed looking at the Christmas attire that the mums and children were wearing.